The never ending complexity of financial products and financial advice is confusing. When it comes pre-retirement and retirement the goals you need to meet become crystal clear. You need to have money to live on in order to maintain your lifestyle, then you need to make sure you have enough money over your lifetime. If you’re the type to read ahead, start here. If not, take the three minutes to read on and discover one of the most powerful solutions available to Americans as they plan to retire, and as they live in retirement. There are a variety of factors to take into consideration when considering how much money you need each month/year to live the lifestyle of your choice. Fixed expenses, like your home, property taxes, cars, utilities, insurance and maybe a club membership or a boat. Then you have your variable expenses, trips, gifts, dining out, entertainment, and hobbies. The fixed and variable expenses will fluctuate, of course, and there will be emergency spending for new roofs, health issues, maybe a family member in need. Understanding expenses is a great start to figuring out your retirement picture because there is the other side of the coin. Income, or, your personal revenue. When you’re working, you have a steady stream of money “pumping through the system”. When you retire, you will be left most likely with social security, possibly one or more 401k or IRA accounts, investments and savings, or you could be lucky enough to have one of the last few pensions still offered. Without a steady stream of new income each month, it’s time to take account. It is rather simple. Granted, you may not want to DO the math, nonetheless the facts are the facts. What to do? Well, you can either trim fixed expenses, (sell stuff) or reduce variable expenses, (do less stuff). You can also bring in more income during retirement. (Get a job). Your retirement will not be solved by math. Life is gray, not black and white. Health is a big concern for retirees and pre-retirees and is one of the biggest unknowns. Changing your mind about what the ultimate retired life happens all the time. You have a friend that was just going to golf and now he is going crazy. How can solving for X, doing the math save you? It’s really simple. Eliminate as much of the unknown as possible. This gives you flexibility as you experience the twists and turns of life. Where is all of this going you ask? If you dread the ups and downs of the stock market, and hate to open your mutual fund statement or see the effect of a market downturn on your stocks then you are most likely a perfect candidate for an annuity. I am not here to tell you about the intricacies of an annuity and what it can do for you. 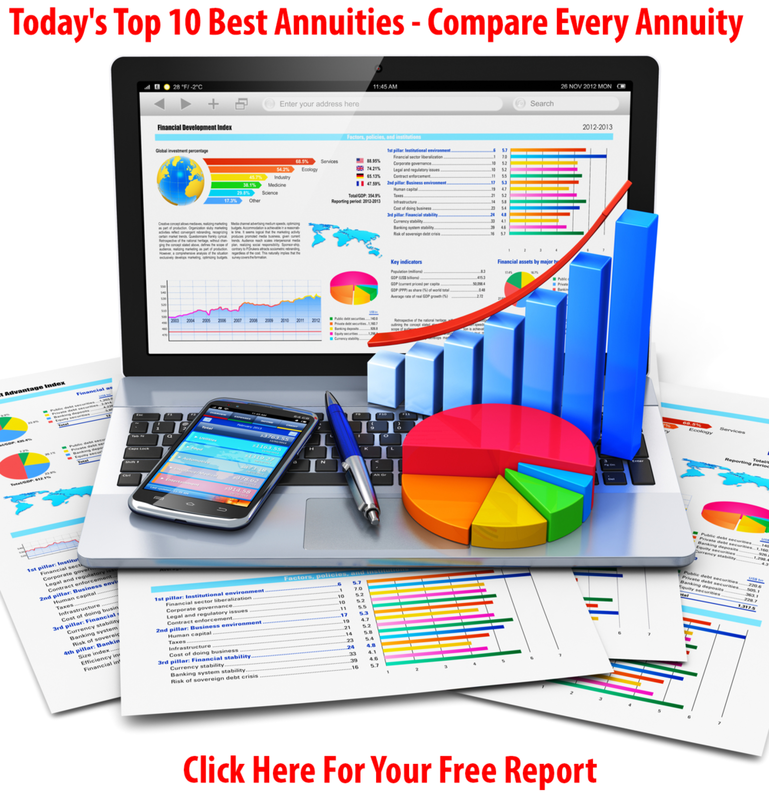 You can get a report on what the best annuities are, how they work and their different varieties. You will find one that fits just fine. An annuity is not the only answer but it takes away a the major hassles of retirement planning and smooths out the bumps. It is truly the protector of major catastrophes in the stock market. The one thing about an annuity that may be the most overlooked among its many features, is that your account balance NEVER goes down due to market fluctuations. No one has ever lost their principal in a fixed annuity due to the market losing value. Let me say it another way. You are perfectly executing the Warren Buffett rule. Rule #1: Never lose money. Rule # 2, See Rule #1. No money is lost during the accumulation period, competitive gains are added each year, and then, the true magic happens. An annuity will create an income for you, and your spouse too if you like that you can never outlive. I am going to repeat myself, you can never outlive a stream of money paid to you either monthly, quarterly or yearly, forever. This money will keep coming to you even if it is more than than the money you had in the first place. The Pareto Principle, you know the 80/20 rule. The one that says most things aren’t distributed evenly. 20% of your food makes up 80% of your calories. 20% of workers make up 80% of the productivity. Although 80/20 isn’t a law, it is an observation that can be used in understanding where a focused solutions can make the biggest difference. An annuity in many cases solves a majority of your pre-retirement and retirement issues. Is it 80%? Find out your options and talk to a financial professional who specializes in retirement. You’re way ahead of the game with the right choices. Simplify your planning with rock solid math. Using an annuity for the cornerstone of your plan is a choice you’ll sleep comfortably with long into your retirement.